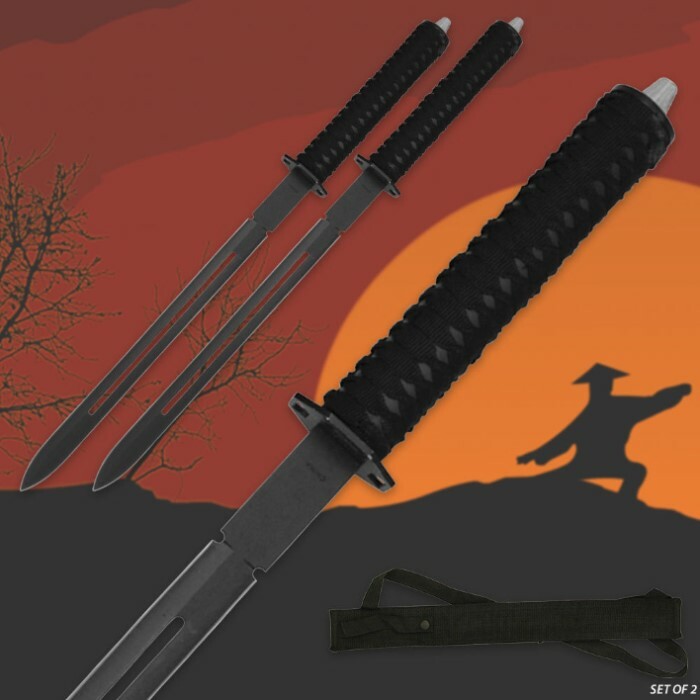 Twin Ninja Sword Set | BUDK.com - Knives & Swords At The Lowest Prices! 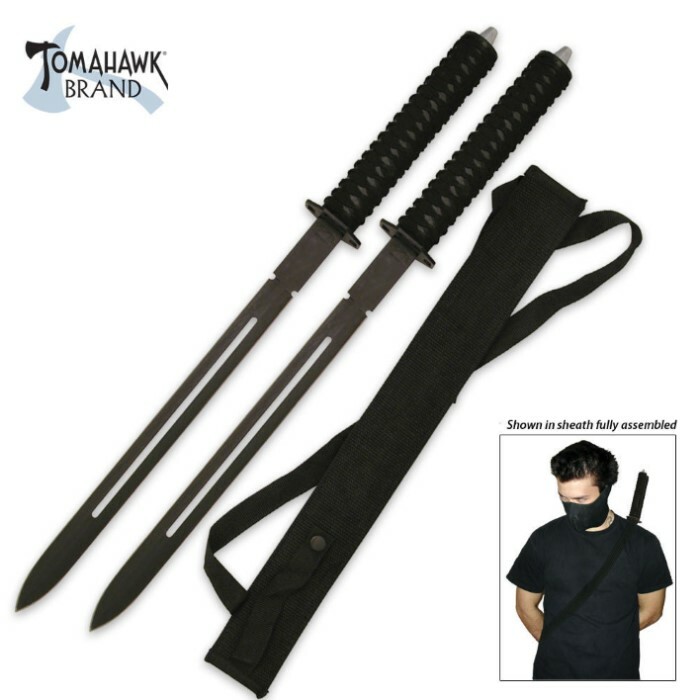 Become the stealthy ninja with this twin ninja sword set that offers stainless steel construction and dual-carry capability. Each sword measures 24 1/2” overall and features a 16” blade with central cutout to reduce the blade's weight.